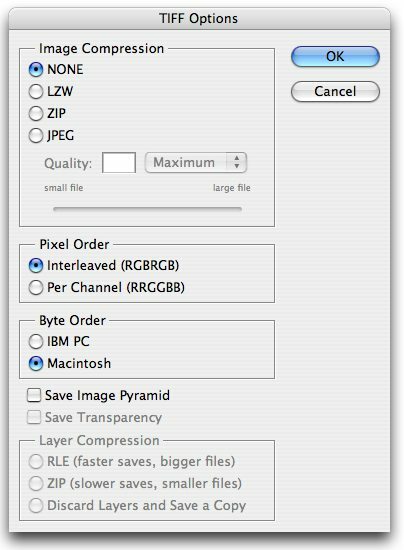 Photoshop users may save as a TIFF or as a Photoshop PDF. Go to File -> Save As and select TIFF. 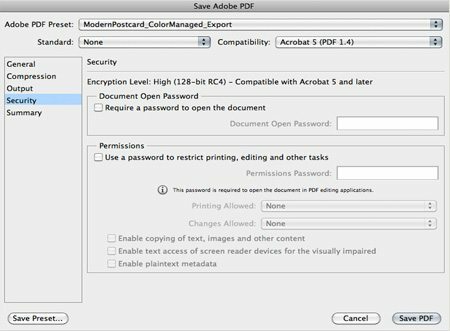 Set Compatibility to Acrobat 5 (PDF 1.4). Be sure that “Preserve Photoshop Editing Capabilities” and “Embed Page Thumbnails” are enabled. 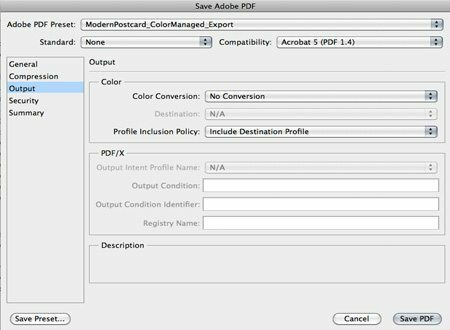 Set Color Conversion to “No Conversion” and set Profile Inclusion Policy to “Include Destination Profile.” Please leave PDF/X options alone. 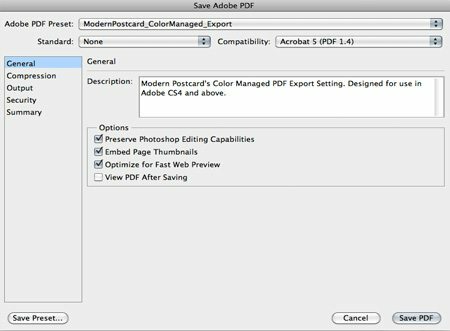 Click “Save PDF” and a PDF will be exported. 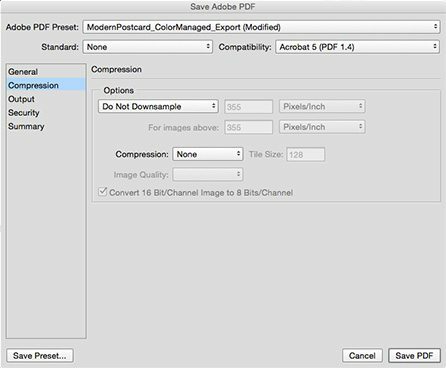 After generating PDF files, you may upload them over the internet or send them to us on disk(CD). Be sure to compress your files prior to sending them over the internet.